Protect yourself against any outside forces that may threaten the safety of your home or business with the Defender BlueLine security series. 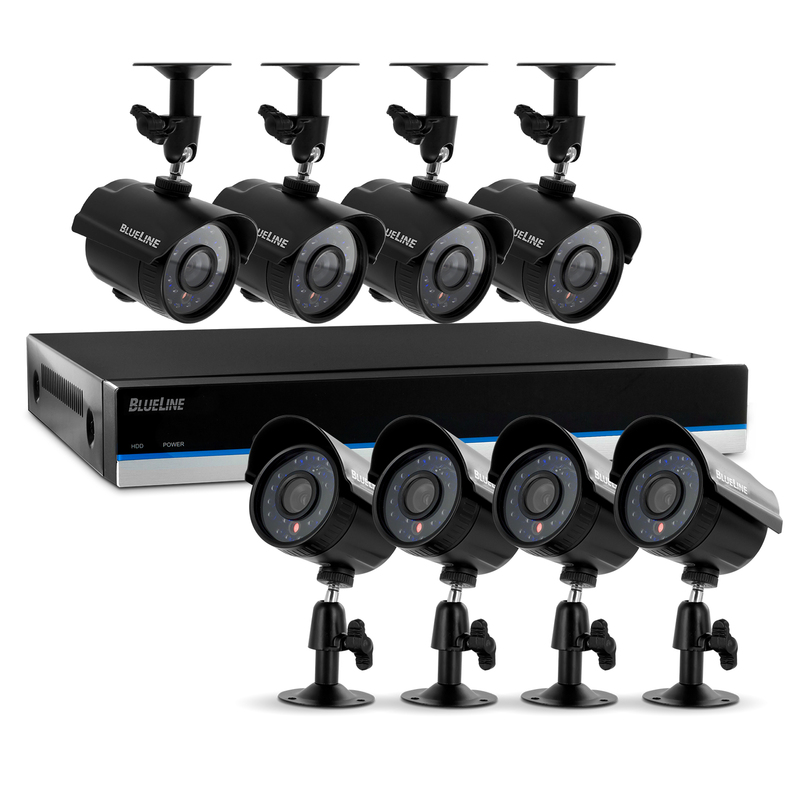 This 16 channel DVR kit comes with 8 ultra high resolution cameras, packed with all the valuable features you need to neutralise any threat and keep your peace of mind at an all-time high. See it all in pristine detail, day or night: ultra high resolution 600 TVL cameras with 75ft night vision leave nothing to the imagination. DVR with 500GB HDD, 8 x 600TVL security cameras, 8 x 60ft security extension cable, 2 x BNC to RCA connectors, 10ft RJ-45 ethernet cable, 6ft power adapter (cUL certified), 6ft RCA video cable, USB mouse, IR remote controller (batteries not included), quick start guide, instruction manual & software CD.